The Canon PC Series Pc890 copier is a printer that is not suitable for home needs. But if one is looking for a lightweight and reliable machine then this is the right choice. The Canon PC Series Pc890 weighs 24.0 kgs and is 14.1 inches in height, 17.6 inches in depth and 19.1 inches in width. Its top unit can be opened so as to make jam removal easy. It has a few curves and colours in its design which makes it look pleasing. It possesses an automatic document feeder too and has a large paper source that has a total media capacity of 550 sheets. Its copy tray can handle 100 sheets. Canon PC Series Pc890 Toner Cartridges are quite easy to maintain and are affordable too. The Canon PC Series Pc890 will automatically power-off itself when not in use. This feature enables to save power. It has a sound emission up to 68 dB and has a wide control panel which has many buttons. The Canon PC Series Pc890 is a reliable machine and is most suitable for people who require impressive output quality and copying speed. It has a pleasening white body where no warm up time is required. Few curves make its body very attractive to look at. 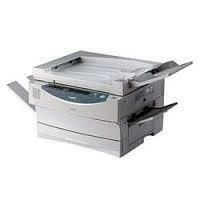 Canon PC Series Pc890 Toner Cartridges are quite affordable and are easy to maintain. But this machine is not suitable for heavy printing tasks and supports a few paper sizes only. Also, it produces a large sound when it is working. Q. How can I get the dried ink out of my printers print head so that I can get smooth prints? A. Place the clogged cartridge in warm water for a few minutes. When you see that the ink starts to slowly leak out, take out your Canon Pc Series Pc890 Toner Cartridge out of the water and dry it using a soft cloth. Place the cartridge back into your printer and run the print head cleaning utility that comes with your printer software. You may have to run the print head cleaning function 2-4 times before we regain the print quality. If your printhead gets damaged you will have to buy a new cartridge, as they cannot be repaired. Q. How should I handle my Canon Pc Series Pc890 Toner Cartridge? A. Never touch the electronic print head with an abrasive material. Do proper care while setting your cartridges down and do not place the print head in contact with any surface besides the designated contact points in the appropriate printer slot as indicated. Q. When it is the right time to replace the Canon Pc Series Pc890 Toner Cartridges? A. You must replace your toner cartridges before they run out. This will prevent ink from drying in the print head between replacements. Q. How would I come to know whether I got any special offer for the cartridges or not? A. To get updated with the latest products or special offers, our team will contact you through call or by email. Once you provide us with your personal information we will provide you with the best possible service, product delivery and customer service for all your items. Q. Can I change my order items, once the order has been placed? A. You can change the order anytime before it has been shipped. After that, you cannot update the items of your order and need to cancel it. Once you cancel the order, can refuse to sign at the time of delivery, if the order has been dispatched.